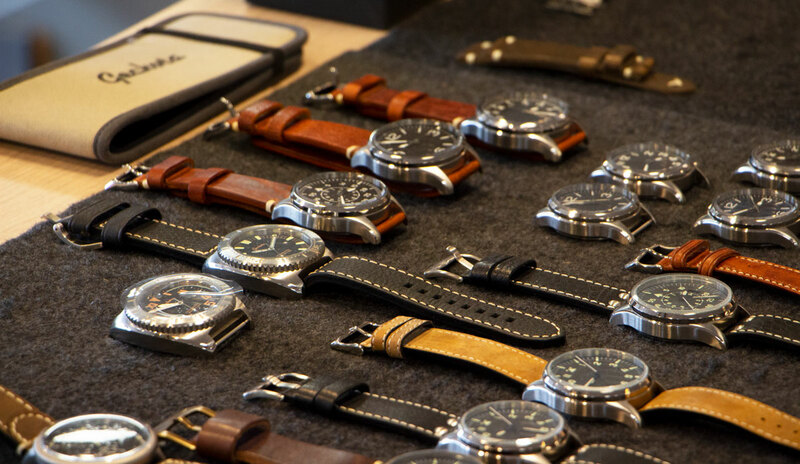 Picking a watch strap for certain occasions can be tricky when you’re unsure of the different varieties out there and what they can offer in each situation. It’s all very well picking a strap that you like the look of, and by all means, continue to go with things you love, but many strap types have different advantages and disadvantages. 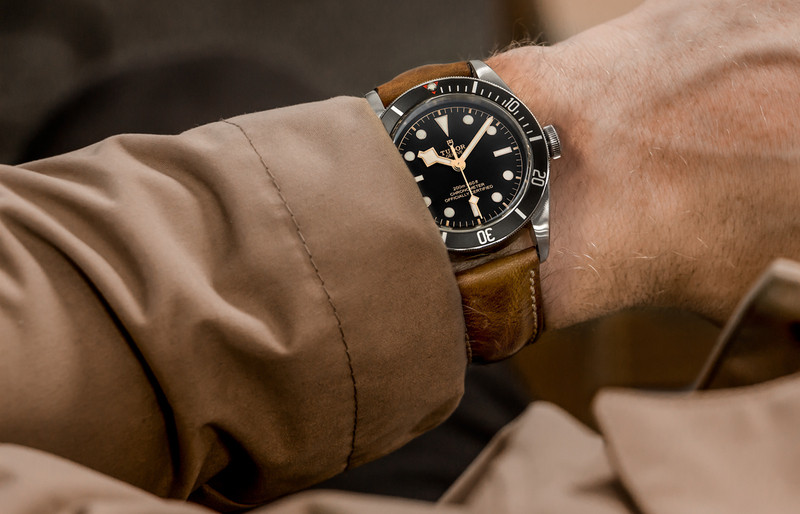 Maybe you have a fancy dinner coming up, or you’re going camping for the weekend, you might be concerned that you can’t wear your favourite watch because of the strap choice and possibly may not be getting the best from it. However, with a simple strap change, you can revamp a firm favourite or make it more practical for your situation. Let's sit down and chat about the types of straps that we think would best suit a variety of occasions and hopefully help you find the perfect one. Within the single continuous strap family, is our PERLON weave straps which similarly offer lasting endurance like the NATO but in a different lightweight and breathable form. This type of strap can be traced back to use in the British armed forces in the 1960's, so it must be a good'un right? Additionally, having this braided nylon provides almost infinite adjustability as you can thread the buckle tongue through any part of the weave (great for temperature changes). This supple and resilient strap will bend and flex as you do, making it favourable when you might be constantly changing activities in the gym or outside. There are different weave options and it comes in a variety of colours so I'm confident you will find one to compliment your gym gear. 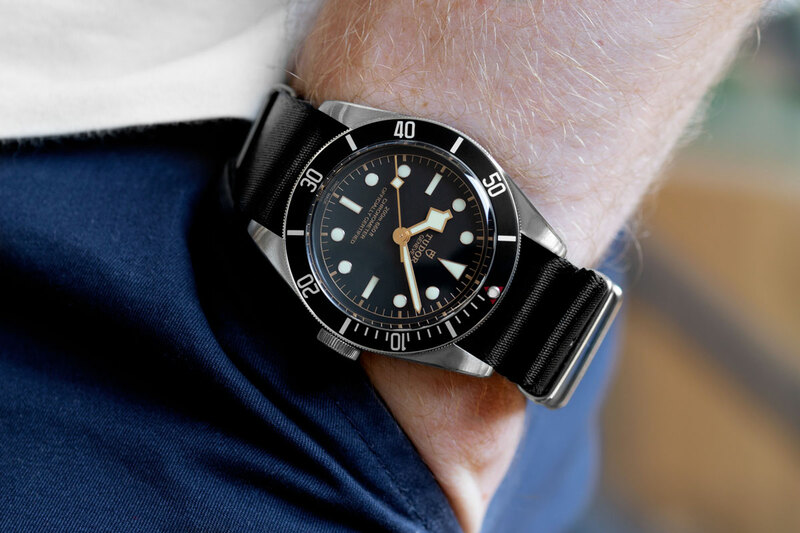 Let's move on to the world of Dive Straps. Our WatchGecko offerings include nylon (Cordura fabric in some cases), Italian rubber and PVC. These straps are built with diving in mind, all being completely water-resistant and ready for taking on watery depths. 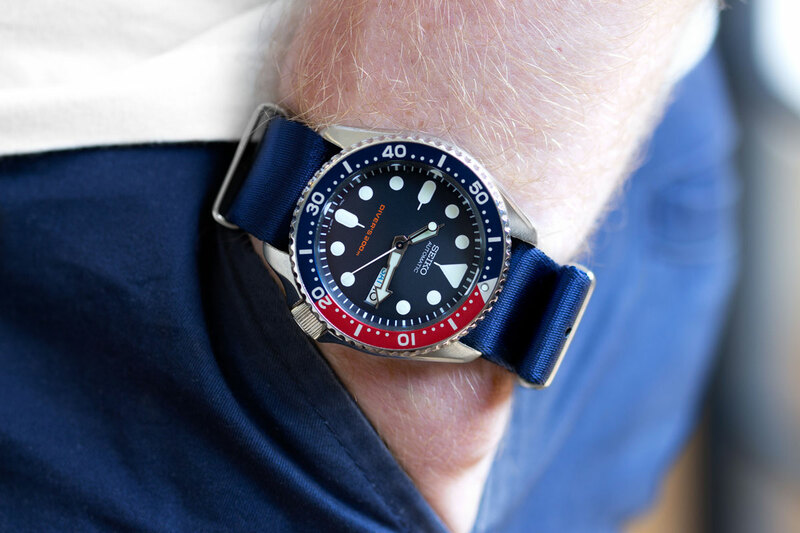 I'd like to draw attention to our ZULUDIVER rubber straps which not only come in all kinds of colours and designs but have been built to resist freshwater, saltwater and UVA (oh, and they are also non-allergenic). They are flexible, resilient and have great weathering properties which makes them very long lasting. 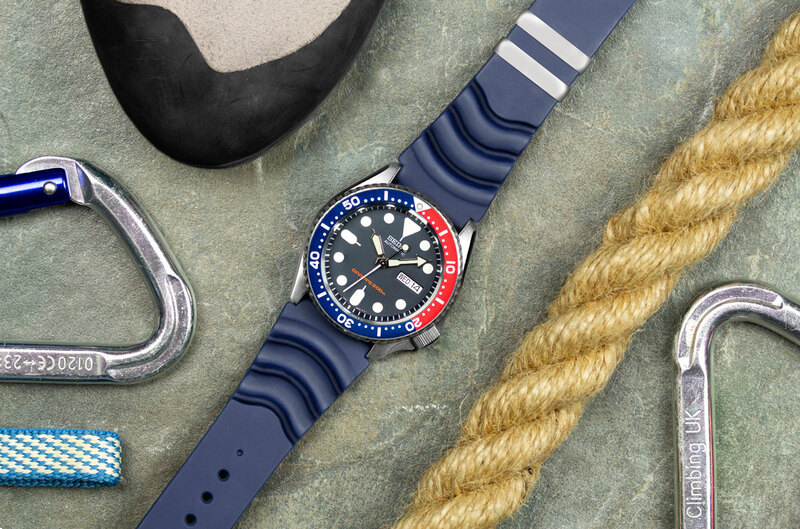 There is also two options of our ZULUDIVER that allow you to make your own perfect size; There is one that comes without size holes allowing you to create your own (ZULUDIVER 270 RUBBER STRAP) and one that allows you to cut the rubber down to the desired length (ZULUDIVER 300 RUBBER STRAP & ZULUDIVER 400 RUBBER STRAP). If you would like to find out more about our rubber straps, check out our detailed article here. You could argue that social events are completely your own preference and you don't necessarily need a strap that will be 'practical'. For the most part, we agree with this and you should certainly pick something that suits you and your personality. Firstly, Leather is always a firm favourite amongst watch wearers because of it's comfort and versatility. 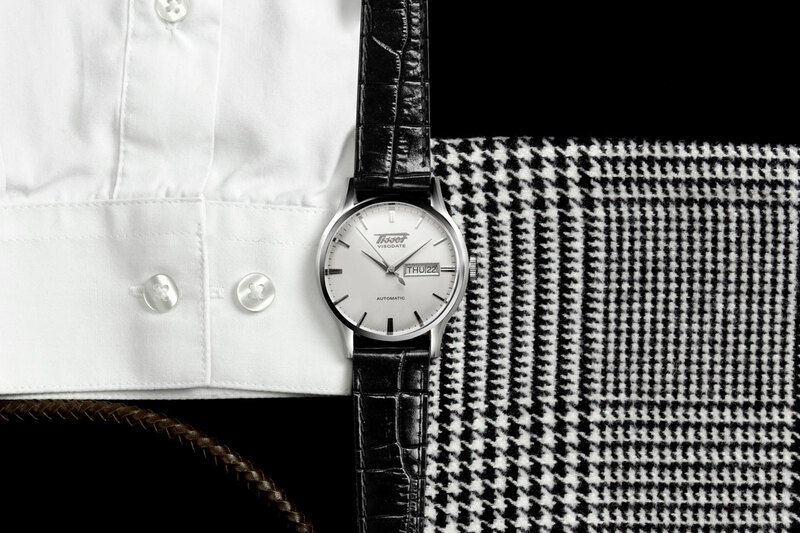 Historically, leather straps have always been the 'go to' for smarter occasions as well. You can go from a gorgeous animal leather or animal print leather to a rugged Italian leather that weathers as you wear it. Whatever the event, there's sure to be a leather strap that suits. A good leather look for a social occasion might be a sleek and smart Italian Exotic Dress strap which, as the name suggests, is wickedly complimentary against a dress watch. Within this range there is a choice of embossed animal print such as crocodile or ostrich; these will definitely spark a conversation. Another option would be our genuine Horween leather strap collection that offers a simple and refined look with quality assurance. In contrast, you might be after a softer, slightly more casual finish. My suggestion would be our Italian Suede strap in a variety of bold colours with contrasting wax thread or our coloured stitching leather strap that have a great pop of colour instead. They are comfy and supple on the wrist giving you a simple, relaxed and fun finish. 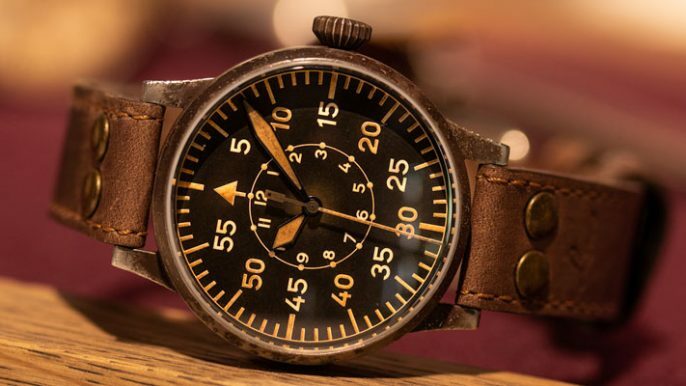 Lastly, you might be a military soul who would like this to come through your strap choice and again our Leather selection has a perfect option; A Horween NATO. Practical and durable yet stylish, this strap will give you the longevity of our standard NATOS but with a slightly more rugged finish. Of course, leather isn't the only choice. Metal straps are also a good choice for a social occasion such as weddings, parties and dinners. There's a huge amount of options when it comes to these straps so let's look at a few of them. Mesh straps are a great addition to outfits for men and women and you can pick from finer meshes or thicker meshes depending on your preference. Mesh is a thick or thin weave of metal that's silky smooth, breathable and beautifully forms to your wrist shape (think Perlon but metal!) There is also the option to have an adjustable buckle, without the use of tools, which adds extra assurance of comfort whilst you're wearing it. A great example of this is our Milanese Fine mesh strap, with adjustable buckle and a fine tight weave that is made from stainless steel. This is my personal favourite as I think it looks elegant on my smaller wrist size. Next in the metal strap group is a classic solid link strap which has bigger more defined links within the bracelet such as our Solid 5 Link by Geckota. 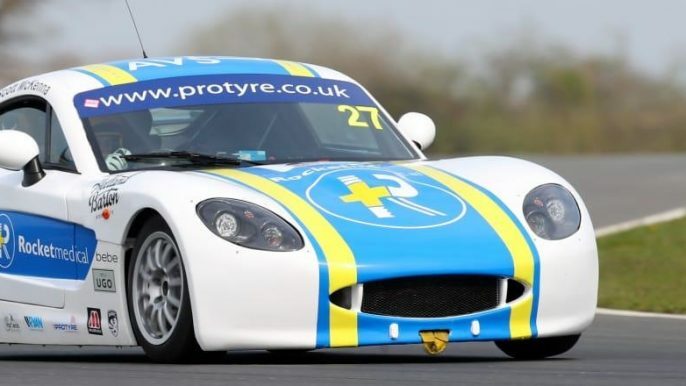 The links themselves can have a variety of edge finishes such as 'chamfered' which has a more squared, angular appearance or the edge can be a smooth curved style for a more fluid looking strap. Combine these features with a polished or satin finish, you're sure to have a talking point. Metal straps can also make a vintage watch look even more time honoured and make a perfect pairing with something like a classic Speedmaster. With the range of metal colours and styles, you could match your strap with any other accessories or outfit embellishments to really pull a look together and add a further splash of luxury. Everyday wear is such a broad term, especially when you are trying to cover an 'every day' for each watch wearer; it's not really possible. Much like the social event section, this one is mostly down to personal preference. Here in the office, there are a few firm favourites for everyday wear and they vary a lot between staff. It doesn't really matter what you do as long as you find one that is comfortable to wear throughout the day- comfort is key. If you're based in an office with minimal temperature changes, leather is a great option. It is durable, stylish and sits comfortably on the wrist throughout the day. You could try our Geckota Vintage Highley for a classic look with thick extra padding for added comfort. Leather wears and ages well, so the more you wear the strap the more character you will give it. Another favourite for day to day might be a metal strap, a solid link piece or maybe a mesh depending on your tastes. Mesh straps are smooth, supple and mould around the wrist well, so this is a good choice in terms of comfort. We have a lot of mesh options at Geckota that have quick adjust buckles that makes life a lot easier during the day if you need to change the size of your strap. The only issue with metal straps is that they can pick up scratches and scuffs quite easily (such as marks from working at a desk), especially if you wear them all the time so if your day is particularly active this might not be the right choice for you. 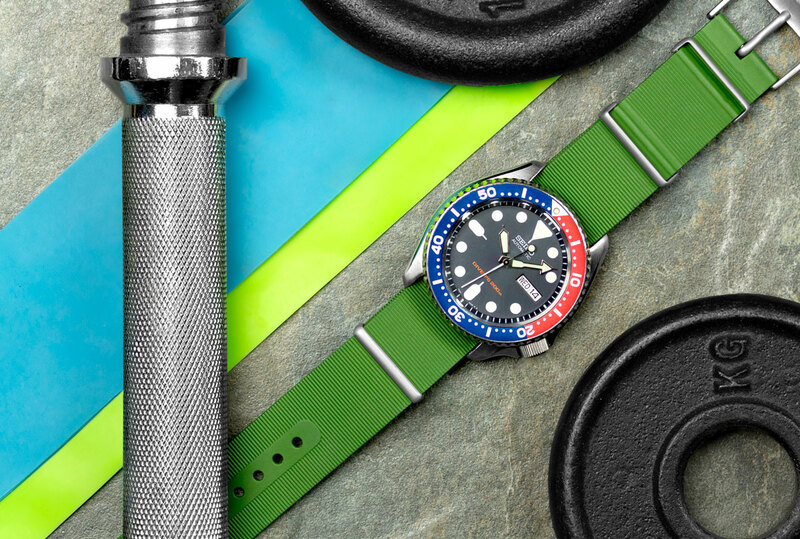 For more active days, we would suggest a NATO or rubber strap for durability, resistance to water and generally being a good hard-wearing piece. As I mentioned in the 'Physical work and exercise' section these two types of straps are perfect for temperature changes, exposure to water and scuffs and scrapes whilst remaining comfortable on the wrist and looking good at the same time. So, there are a few of our suggestions for the best watch straps to wear for different occasions. 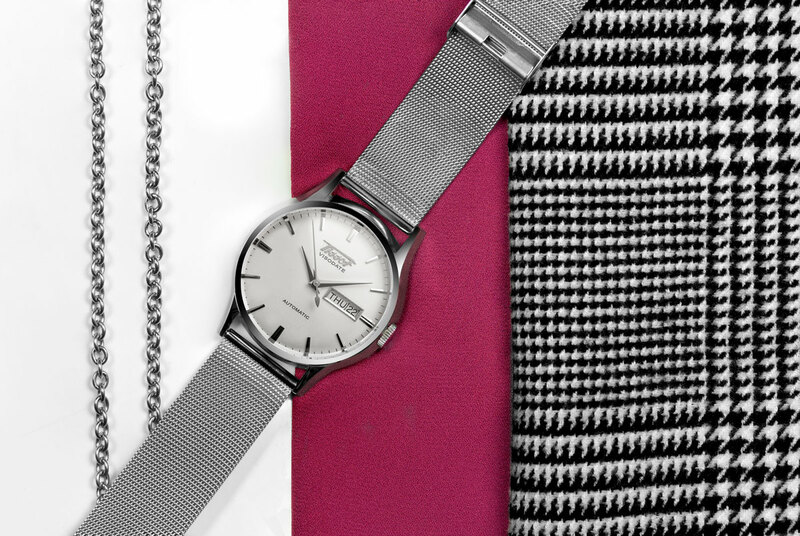 There is something for everyone out there and it's a fine balance between what suits you and your watch and looking at the specs to see if it will withstand your occasion. It's important to do some research to establish details about resistances, materials and sizing because you want to make the most of your watch. WatchGecko was started by the company's managing director, Jonathan Quinn. 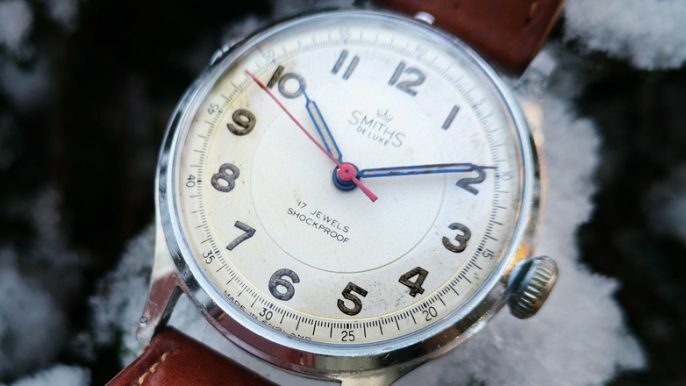 Initially, his vision was to sell watches and watch-straps to like-minded people who would share his enthusiasm for high-quality materials at honest and considered prices. 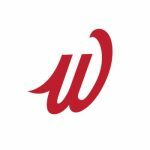 It began as a hobby and an eBay account in the name of WatchGecko and has now grown into a thriving independent e-commerce store and respected source for watch news, articles and stories.